Michigan motorists who are injured in accidents can typically recover personal protection insurance (PIP) benefits from their own insurance company, regardless of who was at fault for the crash. 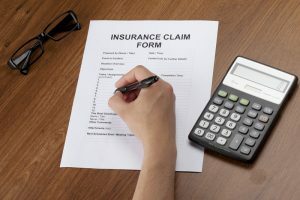 Persons injured in a car accident may also bring a claim against the at-fault driver and the at-fault driver’s insurer for any damages that exceed the amount of PIP benefits allowed under the injured person’s own Michigan no-fault insurance policy. These include economic loss damages that exceed the statutory cap on PIP benefits, as well as noneconomic loss damages that compensate the victim for pain and suffering. However, sometimes the at-fault driver’s policy may not provide enough coverage to fully compensate the victim. In fact, Michigan drivers are only required to carry $20,000 worth of coverage to compensate someone injured or killed as a result of the driver’s negligence. Moreover, these bare-bones policies are often capped at $40,000 per occurrence. This means that $40,000 is the maximum the insurance company has to pay, regardless of how many people were injured in the car accident. Because of these low mandatory minimums, Michigan drivers should purchase underinsured motorist coverage. This optional coverage will not only protect the driver, but also his or her family members and passengers, in the event of an accident with an underinsured driver — in other words, a driver who has lousy insurance. If the injured person has an underinsured motorist policy and if the at-fault driver’s policy did not fully compensate the injuries, the victim can pursue that portion of the liability claim not covered by the at-fault driver’s insurance through the injured person’s own insurance company (similar to pursuing an uninsured motorist claim against a driver who has no insurance at all). Also, if the injured person does not have underinsured motorist coverage but was a passenger in a vehicle that was covered by underinsured motorist coverage, the injured person may be covered under that policy. most underinsured motorist policies typically require that the injured person completely exhaust the negligent party’s liability limits before pursuing the claim for underinsured motorist coverage. most underinsured motorist policies require that the injured person obtain written consent from his or her own insurance company before settling with the negligent party. There may be other important conditions in the underinsured motorist policy that must be met in order to pursue a claim for benefits, including a shorter time period to notify the insurer of the claim. Failure to follow the policy conditions can result in the loss of underinsured motorist benefits. Therefore, extreme caution is necessary to protect these claims. In this video, Grand Rapids car accident lawyer Tom Sinas explains in detail how underinsured motorist coverage works.